Training a long learning duration skill ending after the scheduled return to service is recommended. Please note that we have added two hours to the downtime for deploying this patch, Tranquility is expected to be up at 1600 GMT and not 1400 GMT as originally reported. As usual totally forgot / didn’t pay attention to the announcements and had a skill end right before the extended downtime. Found this out when I couldn’t log on to change my skill and found the new patchnotes ;). They seem to be testing stuff at the moment (16:00 Eve time). Seven players online, but the cluster is not accepting new logons. The patchnotes can be found over here . Mainly bugfixes, though from what I read from the readme.txt after installation of the patch, a lof of cans in space will be removed after 30 days, which is ofcourse very nice. Today I found a newsletter (#18) in my mailbox ! Apparently I haven’t been keeping up on the news, as I was surprised to read about patch 1.1. The Amarr Empire has long boasted about its powerful ships and a fervent willingness to destroy all that opposes them. Finally, the Omen, Zealot and Apocalypse class ships are getting a boost to reflect that devastating potential. That’s great news ! My combat alt (who is slowly catching up on Morphisat, she’s got 20mil skill points now) is mainly Amarr and has a hangar filled with Amarr ships. Recently she has been training up missile skills and can now fly a T2 Raven to assist my Level 4 mission running. She has already been doing that in a Guardian and a Zealot (to take care of frigs and cruisers on specific missions). Also have been using a Sacrilige for that purpose. It’s an amazing tank and now with my upped missile skills it does a fine job. Anyway it seems CCP have finally heard the numerous cries over the past years that Amarr was gimped. I hope this patch will put things right. Some other underused ships have gotten a boost as well. In order to satisfy your lust for carnage, modifications have also come for the Eagle, Moa, Raptor and Ferox class vessels. For the last week I have been playing a bit and my first thoughts on the Graphics Upgrade seems to be right, the new graphics dont really add much to the gameplay is probably geared towards new players and making a good impression on them. Though the Drone Parasites (the ones that use the Domi model) look awesome with their tentacles ;). The Drone changes are nice, they now attack in a group and it actually seems to work. Unfortunetely one of the things in the patchnotes, 100 new missions, was a bit of a disappointment. These all seem to be lower level and Mining Mission. The Level 4s so far all were the same as before. Performance of the Eve client seems to be fine. Even when running two instances. Alt-Tabbing between them is pretty smooth with 2Gb of RAM. What isn’t fine though is the User Interface. The new feature that lets you detach the drone and (new) fleet windows in itself is nice, but where to put them ? And why not incorporate the Fleet Message window in the other fleet window ? I am just flying about with my alt (the whole convert to fleet bla bla thing is already cumbersome) and once the ‘fleet’ is setup I dont really care about these two windows. I ended up putting them on the left side above the chat window. You can’t let it sit where it used to be (down right) because it now also shows up while docked. Then there is the drone window. Still not very handy to order your drones around, I am sure some UI expert could come up with some thing much better than the right click action menu. But where to put this window ? Tried first to put it upper right next to the overview, but that is ofcourse the space where your targets appear. Upper left wasn’t very practical, that’s where your current system info is, so it ended up under the target next to the overview, leaving my screen very cluttered. All in all not very practical, and I pity the people that do not play Eve on a widescreen monitor. How do they handle all the various windows ? I am glad I got a 19″ widescreen monitor, even 1280×1024 would not be enough I think. CCP should have also invested some time / money in making the UI of Eve a lot better. 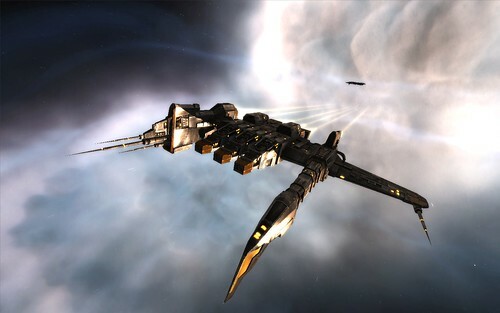 This would also be nice for the new players that might want to check Eve out. What we have now, is shiny new graphics and a very cumbersome, outdated UI, that sort of works if you have been playing for a while, but is very hard to grasp if you just start out. A Forum Thread suggesting a better UI from early 2007. Over at Hammer’s Eve blog, there is a nice guide for the experienced MMO player who wants to start in Eve. It looks very nice with screenshots etc. to ‘denoobify’ yourself quickly :). It’s from earlier this year, but still accurate. The tutorials ingame should be better now with the new expansion and they’re always improving. Yet Eve can be a harsh game if you’re new. Keen and Graev are trying out Eve for the first time and you can read their experiences over at the Keen and Graev gaming blog. The ancient gaming noob, gives his first impressions of the latest Expansion at his blog. CCP have stated patch deployment will take 24hrs, so make sure to set long skills :). The time for EVE to evolve from beautiful to gorgeous is approaching! 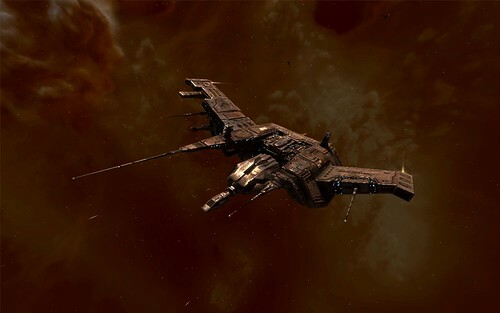 Trinity, EVE Online’s newest content expansion, will be deployed on Wednesday 5 December, commencing at 0200 GMT. 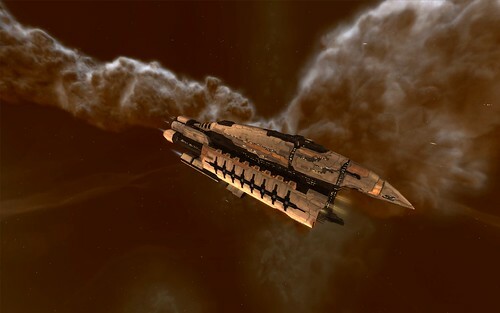 Tranquility and the EVE forums will be unavailable for the length of the deployment, both are expected to return to service by 0200 GMT on Thursday 6 December. Looks great, embedded video looks very nice. Make sure to also check the wallpaper section, one of them is already on my desktop now :). There is a new blogpost up on eve-o abuot the upcoming new client and the various upgrade paths for the Eve-Online client ! The new info is that they’ll be using a Windows service to download the client in the background. The bigger content upgrades are going to be downloaded with via HTTP as well, but using a different download mechanism called BITS (Background Intelligent Transfer Service). BITS is a part of the Windows operating system and allows us to ask Windows to download the files in the background for us. BITS supports intelligent bandwidth throttling and allows for downloads to be paused and resumed at your will. The intelligent part of BITS is that you can configure it to yield for other network traffic, which will ensure that you will not lag and be able to browse the web while downloading. If you need the download right away, you can set the download priority to high, which will make BITS use up all the available bandwidth. I would very much prefer a regular download or a torrent setup, instead of some vague Microsoft meganism, but we’ll see how it all works out.